The Daniu DS-7610 Bluetooth speaker lets you enjoy your tunes in high definition and amazing sound with latest Bluetooth wireless technology. Multichannel Connectivity Bluetooth / SD / AUX allows you to give complete freedom of playing your tunes in every format from from Bluetooth devices, AUX enabled devices and you can also listen to your music from SD memory Cards. Lively & accurate sound with High Bass / Vocals / Highs, 15W powerful speaker and a high capacity 3.7V 2000mAh Li-ion rechargeable battery for extended playback time, gives the speaker up to 6 hours of playback time. 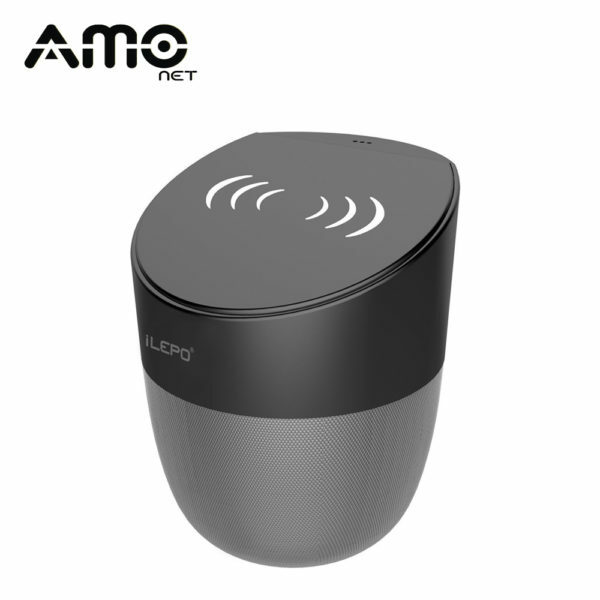 Latest Bluetooth technology ensures a strong connection with your device for precise audio from your device and provides a stable Bluetooth connection range is upto 10 meters, enjoy the flexibility of easy Bluetooth streaming from anywhere in the room. Compact size easy to carry, ideal for traveling, outdoor activities, presentations etc. Work for all the bluetooth mobile phones. Support Micro SD card (T-Flash card) & Usb Flash. Standard 3.5mm Audio Input supporting mobile phones, computer etc.